The .INTERNATIONAL domain names are available for registration. You can now search and order your desired .INTERNATIONAL domains through our on-line order system. Please click the button below to see the regulations and prices for the .INTERNATIONAL names. The .INTERNATIONAL domain will be instrumental in creating a sense of presence for any website looking to be a part of the global market. With the new .INTERNATIONAL extension, businesses will be able to establish a memorable and meaningful presence on the Internet informing visitors to their websites about their worldwide scope of activities. Global communication, cross-border trade or travel, .INTERNATIONAL transactions, special call to action or commitment to the region – the new extension is perfect for all those activities and beyond. .INTERNATIONAL is a new generic Top-Level Domain (Business Entity gTLD) announced by ICANN, the Internet domain authority. The New gTLD Program`s goal is to enhance competition, innovation, and consumer choice. You can see it as your opportunity to get that perfect domain which has been taken by someone else. The introduction of .INTERNATIONAL domain extension is divided into three phases: Pre-registration, Sunrise and Landrush. After Landrush period, the .INTERNATIONAL domain will become public and registrations will be available to everyone (General availability). A free and non-binding way to get a head start securing the new domain name. Indication of an interest in a given domain and eventually registering name(s) in .INTERNATIONAL when registration becomes available. Time at the launch of the .INTERNATIONAL domain before public domain registration for the .INTERNATIONAL begins, allowing brand/trademark owners to register, or block related domain names. See our Managed TMCH Submission service. The initial launch phase for broad general distribution when anyone (usually companies) can submit a request for a domain name under the .INTERNATIONAL. Landrush registrations are typically NOT first-come, first-served. Duplicate requests are auctioned between the parties desiring an identical name. Finally, domain names under the .INTERNATIONAL will be available to the general public, at normal retail prices on a first-come, first-served basis. Applicants may attempt to register previously pre-registered domains within .INTERNATIONAL. When a domain is registered, it is officially reserved and registered in real time. If you are not a brand owner, before General availability you are allowed to take part only in the first phase and pre-register your desired domain names within .INTERNATIONAL. The use of our gTLD pre-registration module is free of charge and without any obligation to buy later on. We will keep you updated on future developments related to your preregistered domains, including information about pricing and regulations, once these have been announced by the registry responsible for a given gTLD. Please note that pre-registration of .INTERNATIONAL is not a queue. Although we will try our best, we cannot provide any kind of guarantee that pre-registration will eventually lead to successful registration of your chosen domain within the .INTERNATIONAL extension. For non-trademark holders Pre-registration of .INTERNATIONAL will be available until General availability. The new .INTERNATIONAL domain will be beneficial for businesses, organizations, communities or non-profits as well as travellers. A relevant alternative to .ORG or .COM., the .INTERNATIONAL domain will state the nature of your website right after the dot. Whether for the purposes of global travel or marketing, manufacturing goods, advertising products abroad or describing the range of services offered across the globe, the new extension offers Internet users new opportunities to establish their .INTERNATIONAL vision. To take advantage of this new extension and mark your .INTERNATIONAL presence online, consider pre-registering the domain name that is perfect for your needs free of charge and with no obligation to buy later. For more information about .INTERNATIONAL domain or any other domains, please contact our Support Team at support@web-solutions.eu. Why should I register .INTERNATIONAL domain name? You are free to choose from hundreds of domain extensions tailored to your website's needs to give it a unique virtual identity. Furthermore, with .INTERNATIONAL extension your website is likely to turn up in more searches and generate more online traffic. When will .INTERNATIONAL be available? Why should I pre-register .INTERNATIONAL now? We will keep you updated on any developments related to your pre-registered .INTERNATIONAL domain, including information about pricing and regulations, once these have been announced by the registry responsible for .INTERNATIONAL. Does it cost anything to pre-register .INTERNATIONAL? The use of our gTLD pre-registration module is free of charge and without any obligation to a future purchase. Please note that pre-registration of .INTERNATIONAL is not a queue. Although we will try our best, we cannot provide any kind of guarantee that pre-registration will actually lead to the successful registration of your chosen domain within .INTERNATIONAL. Are there any limitations on .INTERNATIONAL pre-registrations? No, with Web Solutions you are free to pre-register as many [new gTLDs] as you wish free of charge. However, although we will try our best, we cannot provide any kind of guarantee that pre-registration will lead to the successful registration of your chosen domain within .INTERNATIONAL. Are trademarks usable in .INTERNATIONAL domain registration? 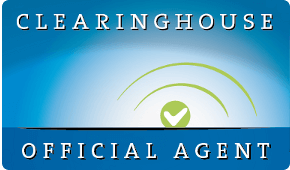 If you are a brand owner, it is important that you register your trademark(s) with the Trademark Clearinghouse (TMCH) prior to the release of .INTERNATIONAL. Brands are protected by the TMCH in two ways: with a Sunrise Service and a Trademark Claims Service. Web Solutions further offer a Managed TMCH Submissions service. Click here to read more. Am I obligated to register a .INTERNATIONAL I pre-registered? Pre-registration of .INTERNATIONAL names with Web Solutions is free of charge and with no obligation to buy the domain name later on. By expressing your interest in a .INTERNATIONAL name and pre-registering it, you can be assured of our assistance in keeping you up to date on any developments regarding .INTERNATIONAL. Why would I want to pre-register .INTERNATIONAL with Web Solutions? Can anyone register a .INTERNATIONAL domain name? How do I host my .INTERNATIONAL domain name? Web Solutions' services include hosting and email service for .INTERNATIONAL. To order hosting, email service and SSL certificates, click here or contact our Support Team at support@web-solutions.eu or via phone on +44 (0) 208 133 3994. All the .INTERNATIONAL domain names may be hosted on your own name servers. If you specify no name servers, we will provide DNS for your .INTERNATIONAL domains free of charge. With the .INTERNATIONAL audience just a click of a mouse away, selecting the right name-space for your entity that will distinguish you from the crowd is extremely important. New gTLDs can help you achieve that goal by offering a number of internet extensions to suit your legal status and identity. Whether you run an .AGENCY, .AFAMILYCOMPANY or a .CORPORATION, you can emphasise that information by choosing an appropriate domain. Establishing your .BUSINESS presence online will extend your reach to every corner of the virtual world. With a diversity of new gTLDs such as .INSITUTE, .INTERNATIONAL., PARTNERS. or .MARKETING, you can gain the advantage over the .com’s and .net’s of today. The right name can provide the boost needed to take your business to a higher level by letting your customers know what you can offer them before they click the mouse button.